During my Ayurvedic energy session yesterday I spent some time going through my diet to see what we could switch up to help with my sleep. We talked about my love of maple syrup (I am Canadian after all) and Asrael said it was ok to keep that in – if I was chowiig down on ice cream that would be different and we would need to address that. 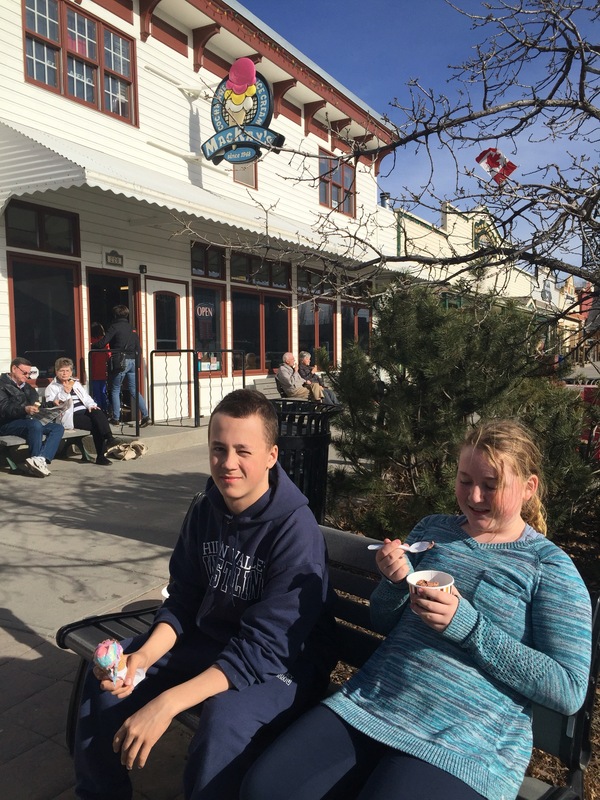 So, today after I picked the kids up from school we headed to Mackay’s and I did the opposite of what may be best for my sleep, but we sat outside and ate ice cream. But it’s Mackay’s so that makes it ok right?? So many memories are attached to this ice cream, it is a little like a happy pill. Then we grabbed my mom and went for a family movie night. What a great way to head into the weekend. I have had a huge release of that negative emotion and stress over the past couple of days. I know that we will make it through this and that we are loved and protected. We are attracting wonderful things into our lives.